Prime Margo Single Screw Extruders are offered for extrusion of polyolefin (HDPE, HDPE PLB Ducting, PP, PP-R & LLDPE, LDPE) pipes. The extruders with screw diameters 25mm to 120mm are available for output range 5 Kg./hour to 1000 Kg/hour. 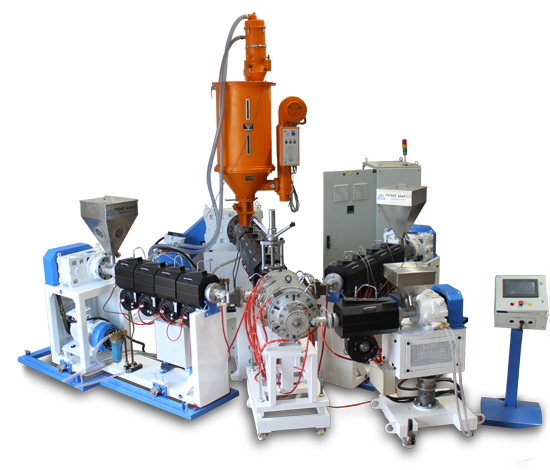 The Next Generation Extruders with a combination of Barrier Screw and grooved feed bush results into higher output rates, homogeneous plasticizing and less material slippage. Superior physical properties of end product. It allows high homogenous plasticizing less material slippage and higher output.